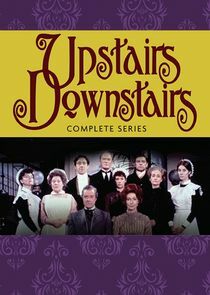 Set in a large townhouse in Edwardian, First World War and interwar Belgravia in London, the series depicts the lives of the servants "downstairs" and their masters—the family "upstairs". Great events feature prominently in the episodes but minor or gradual changes are also noted. The series stands as a document of the social and technological changes that occurred between 1903 and 1930. The series follows the lives of both the family and the servants in the London townhouse at 165 Eaton Place. Richard Bellamy, the head of the household, is a member of Parliament, and his wife a member of the titled aristocracy. Belowstairs, Hudson, the Scottish butler directs and guides the other servants about their tasks and (sometimes) their proper place. Real-life events from 1903-1930 are incorporated into the stories of the Bellamy household.